Feb 14 – Bring someone you love! Happy Valentine’s Day! Love songs, shall we? Love found, love lost, and love from afar? Longing To Belong? Looking For Love? Coffee brewed, music stands and materials readied, questions asked and answered, songs suggested, announcements scheduled, and even show and tell. Anything else? Quick Pick Lesson Session – You decide the topic. You And I – Pg. 397 New! Sealed With A Kiss – Pg. 298 New! Longing To Belong – Eddie Vedder Arrangement – Copies at meeting and it can be downloaded / Info below. 12 Bar Blues Jam in Bb. This is always so much fun. Thanks to all that participate. Let’s hear from some new people. No pressure. Have fun! 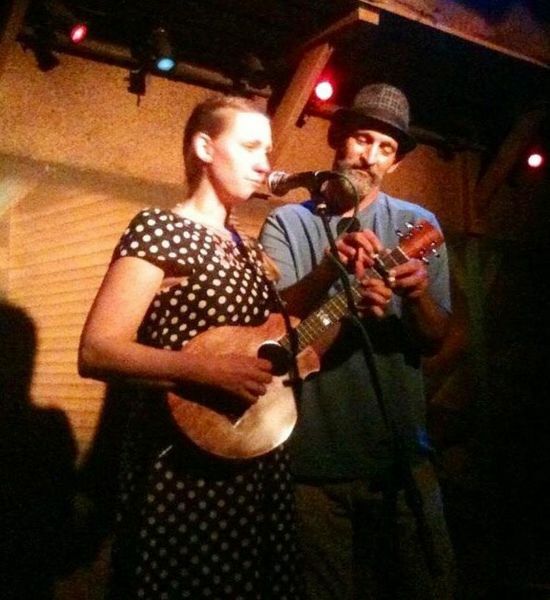 Our own Ronnie Butler is singing every Monday night in February – a night of eclectic love (?) songs. His sets included inventive covers of both pop and jazz. Bring someone you love!